Another Mail Art piece from my prolific Mail Artist friend in Chicago. I like the shadow on the wall, as if this bicycle were really lifting off. I think that for the most part, the race circuits will be fairly flat, but there are a few areas where the riders will have to go up or down hills. 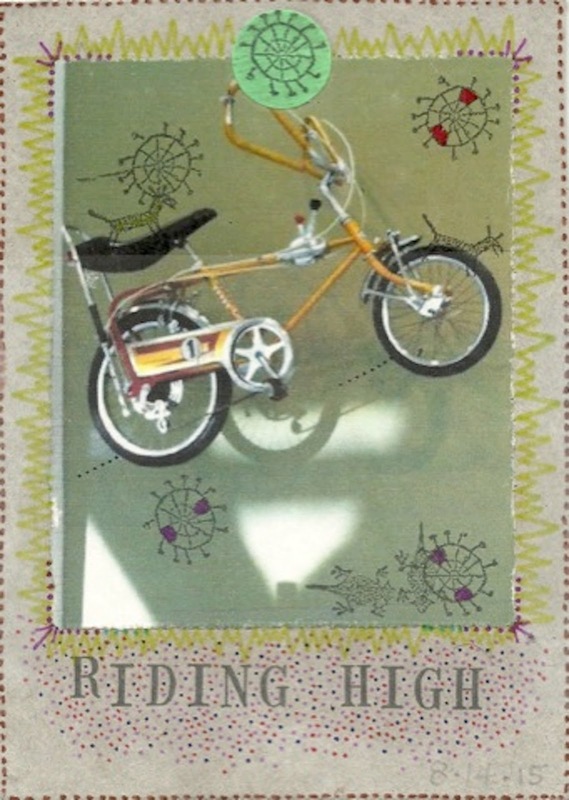 Riding high, indeed. Thanks B, for another piece.